6:00AM - Meet at the Performing Arts Center to load on "Big Tex"! 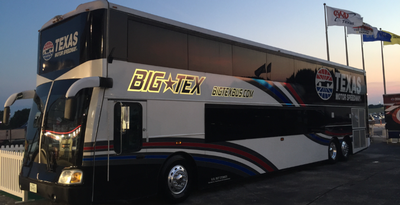 Big Tex is the largest luxury, double decker bus in the United States! Join us for a fun trip to Austin! 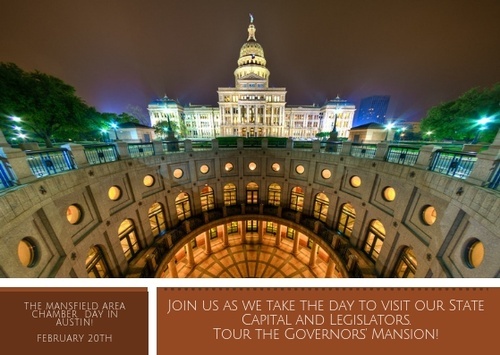 We'll take "Big Tex" down to Austin to visit our State Legislators, tour the capital, the Governor's Mansion and have lunch before we head back to Mansfield. Students from MISD High Schools will accompany us. WEAR COMFORTABLE SHOES - WE WILL WALK EVERYWHERE!